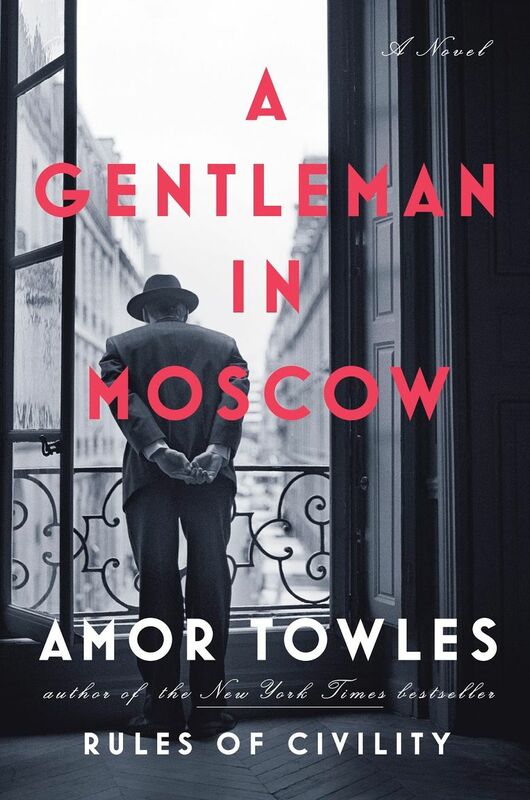 In Amor Towles’ elegant novel “A Gentleman in Moscow,” a Russian aristocrat is banished to his hotel room by the Bolsheviks — for decades. But he does not continue; his course is interrupted by a little girl named Nina with a penchant for yellow dresses and pointed questions. Left alone by her father, Nina spends her hours of confinement prowling the Hotel Metropol and knows all of its secrets. One day, she offers to share them with Rostov (with the help of her passkey), taking him to all the hidden rooms-within-rooms that helped the hotel tick. On these excursions, Rostov finds that despite all his years spent in the hotel, he did not really know the contours of the world within it. The author of “A Gentleman in Moscow” will appear at 7 p.m. Wednesday, Sept. 21, at Folio: The Seattle Athenaeum, 314 Marion St. Tickets are $5 — sponsored by Seattle’s Elliott Bay Book Co. (206-624-6600 or elliottbaybook.com). He will appear at a lunchtime event at 1 p.m. Wednesday, Sept. 21, at Ravenna Third Place Books. Tickets are $40 and include lunch at Vios and a copy of the book. Information: 206-525-2347 (www.thirdplacebooks.com). As years pass, Rostov finds that his confinement has conversely broadened his personal horizons. He creates a two-room suite. He carries on an affair with a famous actress. He receives old friends and joins the wait staff. Even Nina reappears, this time, with more adventure in store: Would he watch over her daughter, Sofia? Meanwhile, outside the hotel, seismic change is gripping Russia: the end of the Russian Empire and the rise of the Soviet Union; the famine and terror of the 1930s; the carnage of the Eastern Front; and the unraveling of relations with the West after the war. There are two surprises at the end of the novel; you’ll nod at one, and raise your eyebrows at the other. Even greater delights, though, are found in Towles’ glorious turns of phrase. His first book, “Rules of Civility,” garnered praise for its eloquence befitting the late 1930s setting, and “Gentleman” will not disappoint those fans. Here is a particularly charming scene, with a young Nina having holiday lunch with the Count. The two are attended to by a waiter whom the Count christened “the Bishop,” due to his resemblance to the chessboard piece. “When they were seated with their napkins in their laps, Nina explained that as she would be meeting her father for dinner a little later, she had taken the liberty of ordering herself an hors d’oeuvre. ‘Quite sensible,’ said the Count. “At that moment, the Bishop appeared, carrying a small tower of ice creams. “Having placed the dish before Nina with a priestly smile, the Bishop turned and asked the Count if he would like a menu (as if he didn’t know it by heart! ).